I have taken quite the hiatus when it comes to knitting and crocheting. 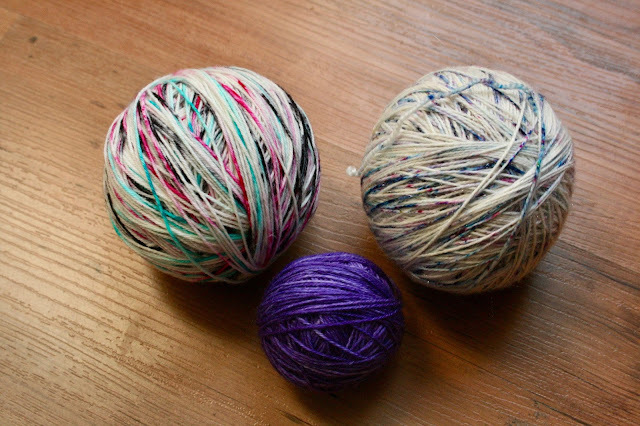 Oh, how I long to get back into the world of yarn! And I slowly am. It feels extremely slow, but bit by bit I find myself craving that thrill of completing a project - knowing that I made something from nothing. I can only hope that soon I will be able to see my yarn ideas come to life and lay there exactly how I imagine them to be. I just need to start. I need to pick up my projects one by one and just start... again. I am hoping that by sharing the status of my current projects, it will inspire me to press on, to keep going, to not stop until I have something worth documenting, sharing, and loving. 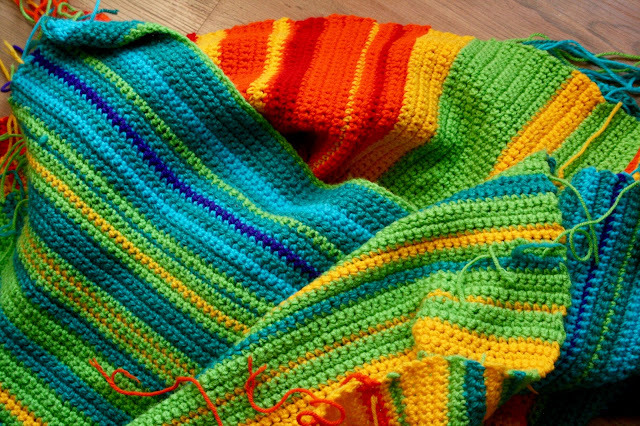 The Temperature Blanket : many of you followed along last year as I posted monthly updates on my year-long project called the Temperature Blanket. Based on the temperature high of the day, this project was created by crocheting a single crochet row daily based on a chart I created. I picked seven different colours for seven different temperature ranges. 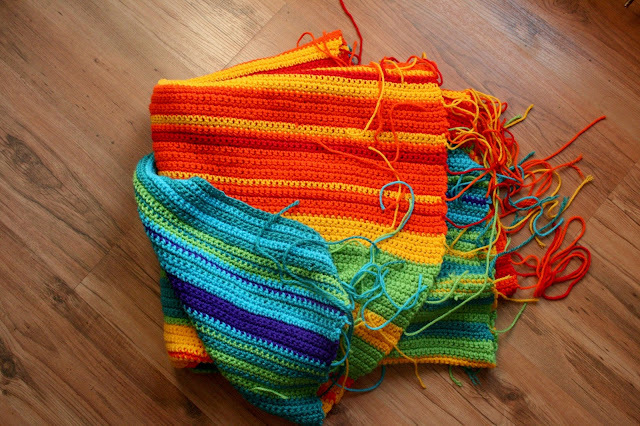 The goal was to crochet one row daily based on that days temperature high, and by year end, have a blanket ready for use. I definitely fell behind and had to play catch up several times, but this project was still such a colourful, fun one to work on. Now What : I have so many ends to weave in, its not even funny. Part of the reason I stopped weaving them in is because I am stuck with what to do next. I have two possible plans for this project and I cannot decide which one I like better. 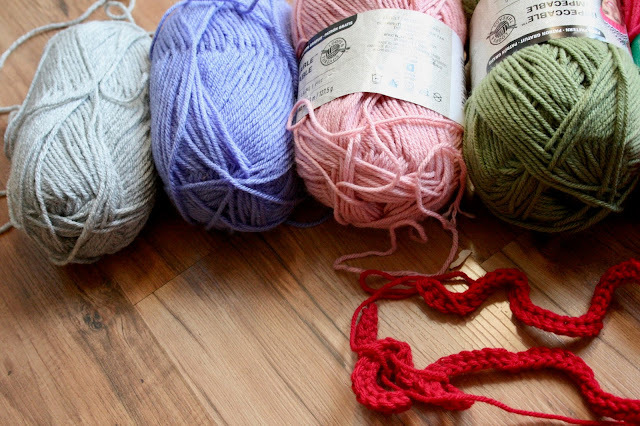 The first is that I create a boarder using white yarn and keep the blanket the length that it is. 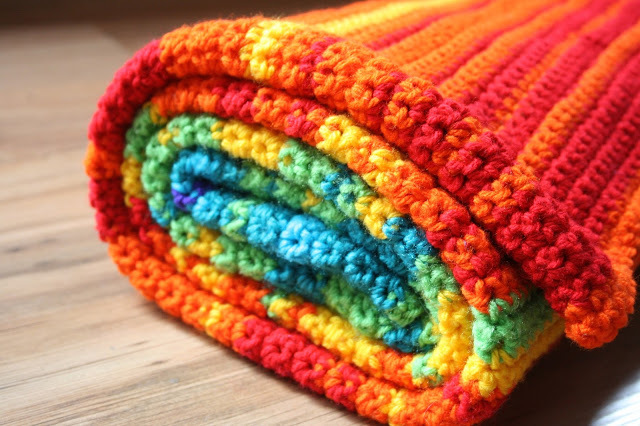 My second idea is to create two more rainbow panels, one for the year 2014, and the other for 2015, as well as a white boarder, so that this blanket can fit over an entire bed. I am stuck as to what to do. Thoughts? 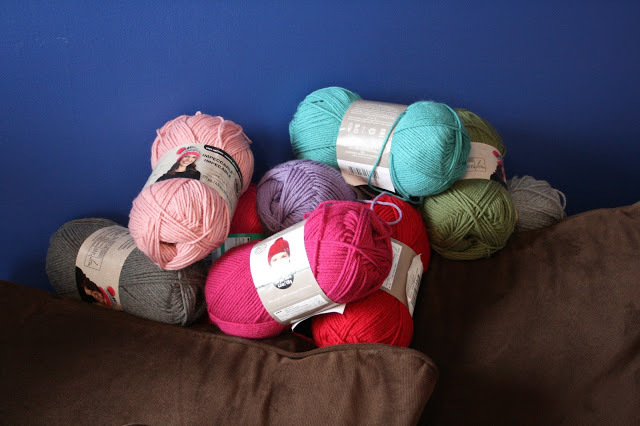 If you want to follow along on my Temperature Blanket journey of last year, feel free to click here. Socks : many, many years ago I promised my sister that I would knit her some socks. 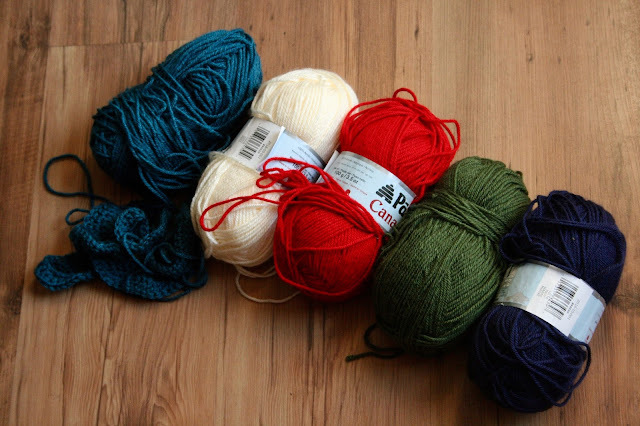 I attempted several times as a newbie knitter, but the pattern that I choose was too hard and I felt defeated. 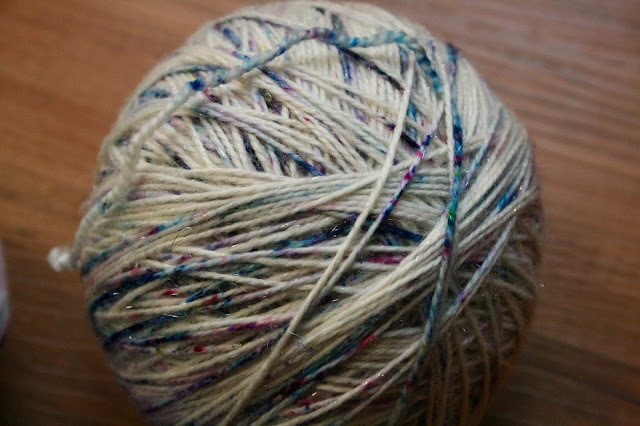 After picking up some very pretty yarn and feeling a little bit more capable, I am wanting to attempt this feat again. 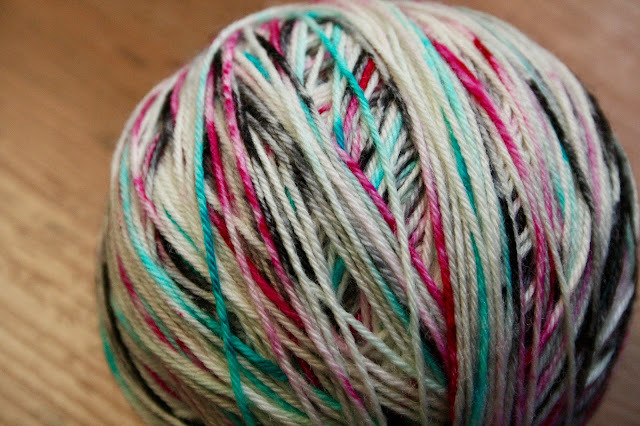 This yarn is by Vivid Yarn Studio and it is GORGEOUS! I would love nothing more than to see my sister wearing some pretty socks on her feet. Fingers toes crossed I will have them done this year. 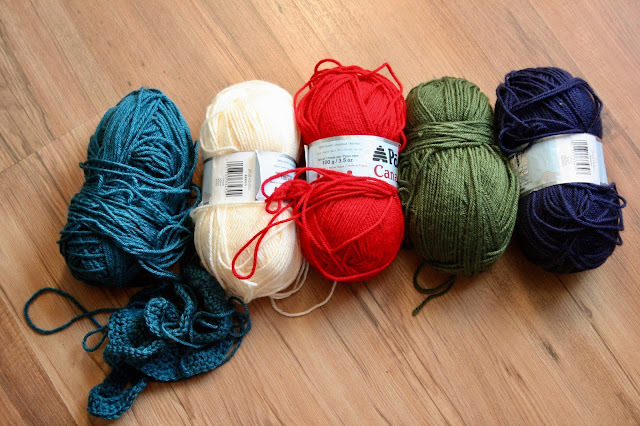 I have also missed knitting and really want to get back into it. 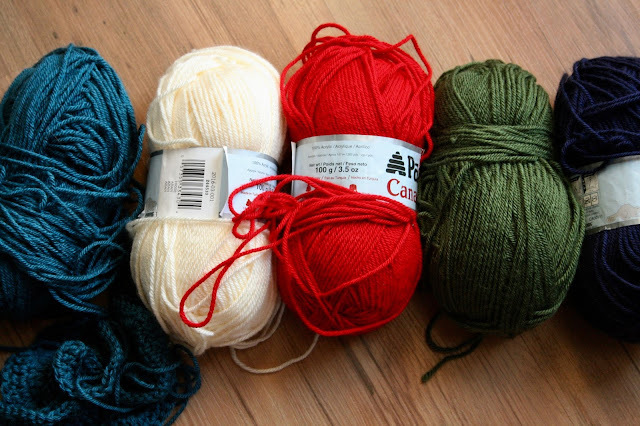 My friends over at Cozy Up Knits have started a YouTube podcast and I watch it weekly. They make me want to knit so bad, I love seeing all of the projects that they have going on. 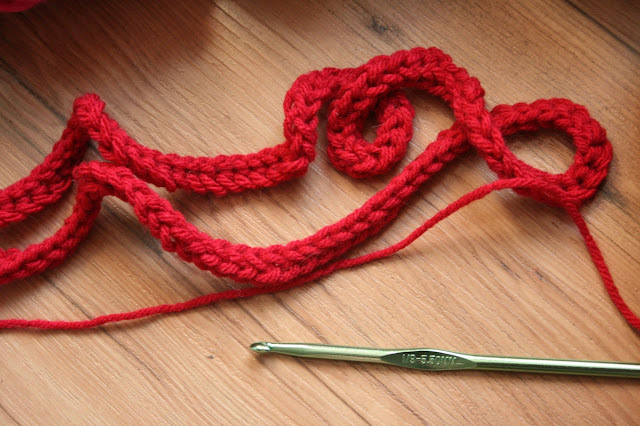 The Crochet-Along : My friend was working on a crochet-along last year and I fell in love with all of the stitches that she was using. It seemed to be the perfect project to learn and practice different crochet stitches per week. I asked to jump on board and my friend agreed that she would wait for me. Fast forward several months, it has become a project that now three of us ladies want to work on together. I am not too sure if we will continually try to get together to work on it or if we will soon start to work on it on our own, but I am super excited to get this baby done. I have only completed the first row, but man, what a fun first row it was! 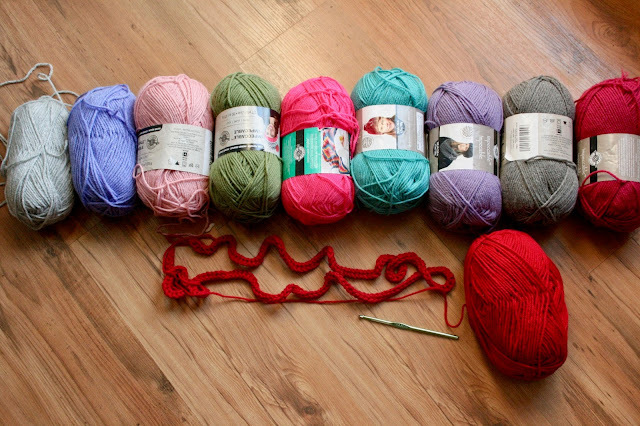 My daughter picked out all of the yarn and she will be choosing which colour that I will be using for each row. This crochet-along is hers and I love the idea of her being involved with it. I cannot wait to get it onto her bed. The pinks and reds are not showing up well in the pictures. Baby Chevron Blanket : Up until this morning I was majorly struggling with this blanket. I had attempted so many times to get this blanket up and running, but something was not going right. Both my peaks and my valleys looked like peaks, my blanket formed a circle instead of a chevron and I was so confused. Yesterday I had a friend over who looked at what I was doing and she showed me what it is that she does. Together we figured out what my problem was (yay!) and I am now hoping that I can succeed in making a chevron. Seriously, there is nothing more frustrating than knowing that you know how to crochet and yet you cannot figure out a simple pattern! I was about to give up on this project. ALWAYS ask your friends for help! Thank you so much for reading about my current projects. I have a couple of other smaller projects on the go, but these blankets and socks are my focus - the ones that I am eager to work on and complete. Soon. One stitch at a time, right? Wish me luck. It is my hope to post more updates as projects come to life.